ORLANDO, Fla. — May 7, 2015 — SAP SE (NYSE: SAP) today announced the cloud edition of SAP® Business Suite 4 SAP HANA® (SAP S/4HANA) to help customers drive their digital business transformation with the simplicity of the cloud. SAP S/4HANA, cloud edition, brings the next wave of simplification and innovations across core business functions. In addition, it gives customers the opportunity to deploy real hybrid scenarios — combining on-premise and cloud solutions — for unprecedented IT flexibility and accelerated business innovation. The announcement was made atSAPPHIRE® NOW, being held May 5-7 in Orlando, Florida. On February 3, 2015, SAP launched SAP S/4HANA, the next-generation business suite to help enterprises Run Simple in the digital economy. Fully built on the advanced in-memory platform SAP HANA and designed with the SAP Fiori® user experience (UX), SAP S/4HANA redefines how enterprise software creates value across industries. The launch has created tremendous market momentum, already resulting in more than 370 customers for SAP S/4HANA. With the announcement of the SAP S/4HANA, cloud edition, SAP intends to significantly expand the business scope of its cloud offering built on SAP HANA. In addition to the available business scenarios for the marketing line of business and the professional services industry, customers will now also be able to run their entire enterprise in the cloud with a digital core comprising the most essential scenarios including finance, accounting, controlling, procurement, sales, manufacturing, plant maintenance, project system and product lifecycle management. Existing and new customers will be able to adopt the cloud edition of SAP S/4HANA via a simple subscription model. SAP aims to support customers in their journey with predefined migration, system conversion in the cloud, guided configuration and deployment packages to drive quicker time to value. 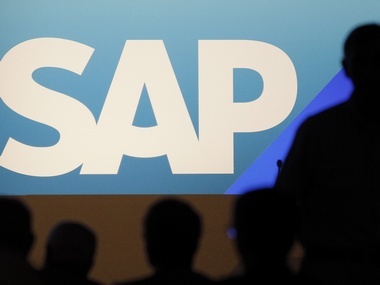 The comprehensive offering also plans to provide native integration between SAP S/4HANA and other cloud solutions from SAP, including those from SAP companies SuccessFactors in human resources and Ariba in procurement, as well as integration with the SAP® hybris® Marketing solution, SAP Fieldglass Vendor Management System and the SAP Jam social software platform. As a result, it is planned that customers can execute their IT strategy at their own pace, based on their needs, while keeping all the integration and business benefits of their existing SAP solutions. SAP S/4HANA, cloud edition, is also designed with the intent to easily connect with global business networks such as the Ariba® Network and software from Concur, an SAP company. The cloud edition of SAP S/4HANA is intended to offer a quarterly innovation cycle so customers can take advantage of ongoing innovation with minimal disruption. In addition, SAP HANA Cloud Platform aims to serve as an extension platform and agility layer for the cloud edition. This way, customers and partners will be able to build specific capabilities extending the scope of SAP S/4HANA by either integrating non-SAP functions or building their own innovations. With SAP S/4HANA, cloud edition, enterprises can now participate in the digital economy with a suite that intends to bring together the simplicity of the cloud and the value of instant insight across industries, business functions and networks, and granular data sets. The SAP Simple Finance solution, announced in June 2014, helps customers transform finance with instant insight and marked the first step in the roadmap for SAP S/4HANA. Customers across various industries have found the solution demonstrates that it can help them experience the true value of simplification. Innovative Mobile Media Group Launches In India - News Republic & APPY GEEK!